Diversified functions.Through combination of different models, it can be used to make staple food, such as wheat flour steamed bun, potato steamed bun,steamed stuffed bun and stewed noodles,etc. High-automation.The whole production line is integrated with advanced touch screen,PLC,frequency conversion and photoelectric sensing control technology,realizing the whole process automation from dough mixing, conveying, continuous compression,automatic splicing,forming to steamed bun placement. The automation continuous production is possible after commissioning of procedure. By application of sensing technology, the intelligent match of conveying speed and forming speed of dough straps can be realized, to avoid the accumulation and tear of dough straps. 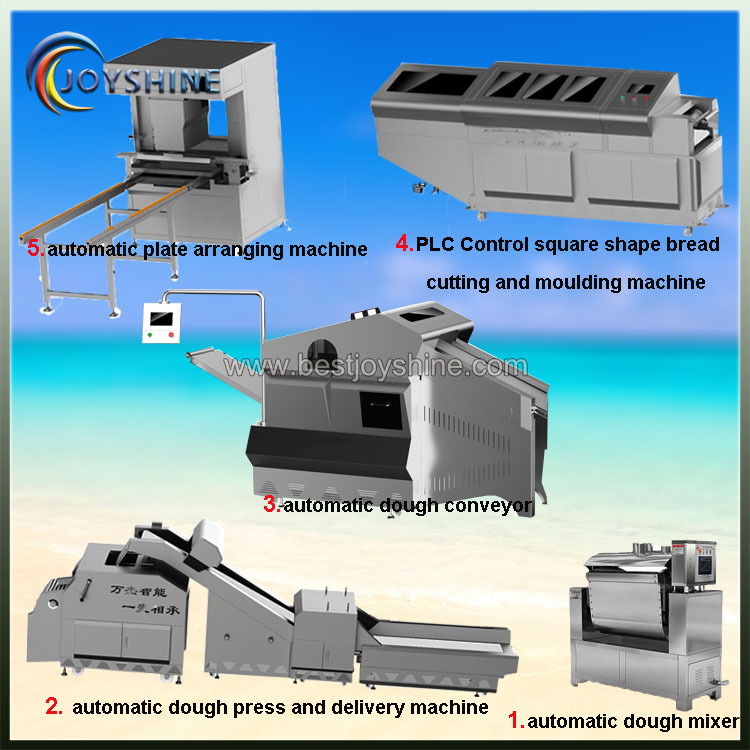 By use of continuous Z-shaped folding and compression, the dough becomes more flexible, uniform and smooth. 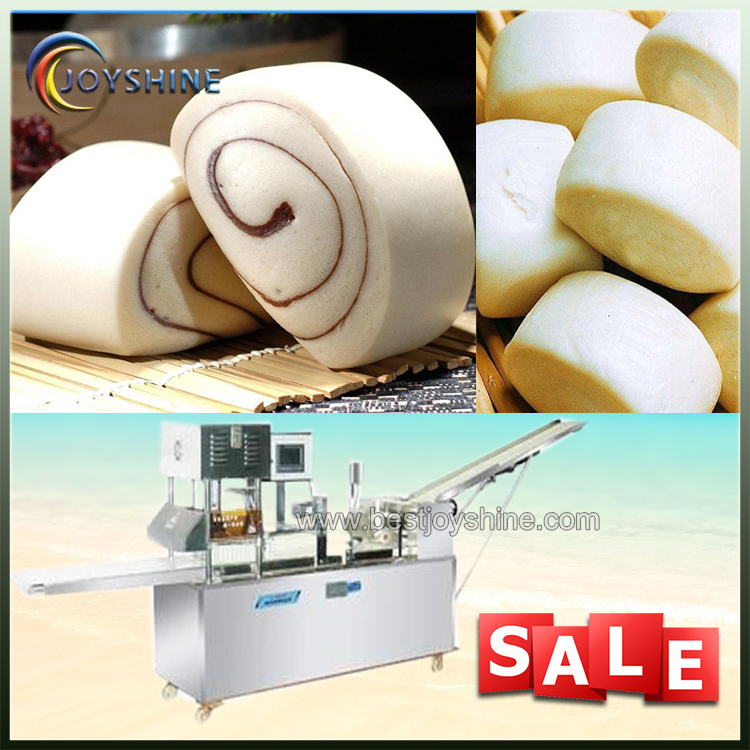 In comparison of the similar products, the continuous automatic splicing function is realized without manual intervention, and the varying size of steamed bun due to non-uniform splicing can be avoided in the meantime. products or thin skin juicy products . 4.Run automatically and stably, production is stable, slight error. 5.Easy to operate, PLC intelligent control system with colorful touch screen. 9.Removable filling hopper , easy to change the filling . 15.Free-stand cutter design ,easy to maintenance and clearing . 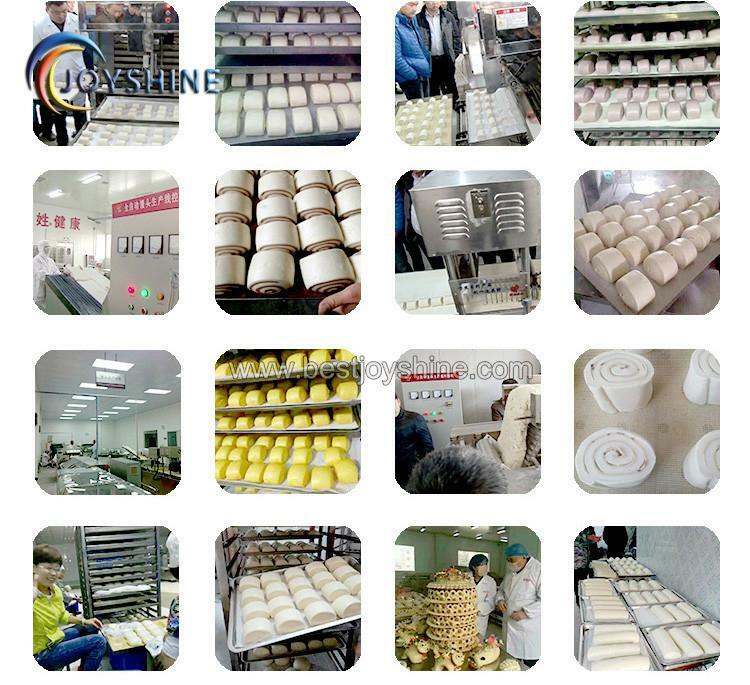 Looking for ideal Steamed Bun Bread Making Production Line Manufacturer & supplier ? We have a wide selection at great prices to help you get creative. 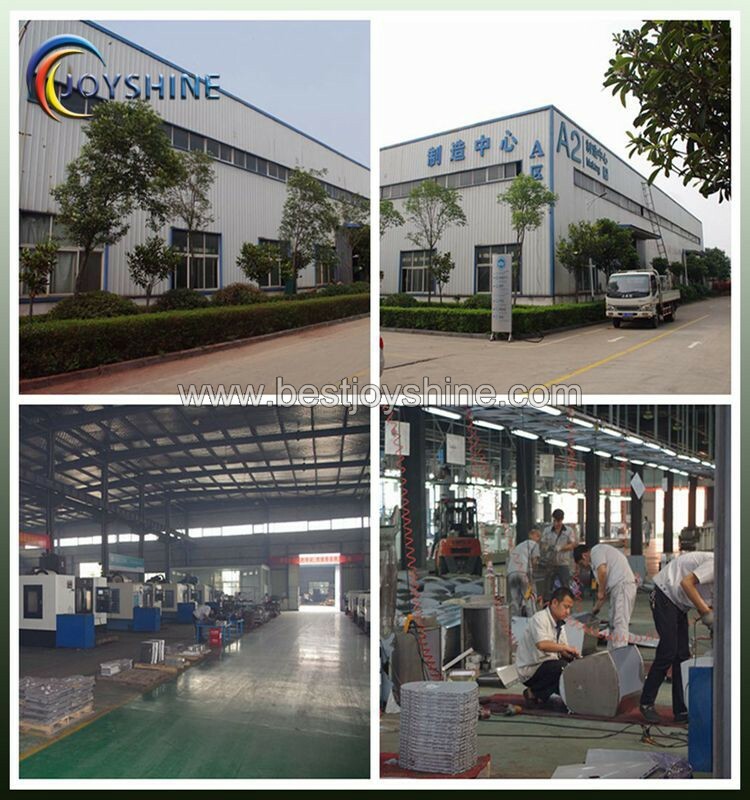 All the Bread Making Production Line are quality guaranteed. We are China Origin Factory of Steamed Bun Bread Making Machine. If you have any question, please feel free to contact us.